Phitsamai Sipaza (Bam) is the Assistant Manager of the Ock Pop Tok Living Crafts Centre. Bam has worked for Ock Pop Tok since 2014 and is responsible for managing the class bookings, reception and Mekong Villa guests. She holds two university degrees, in General Management and English, from the Luang Prabang University. Bam loves taking care of people and ensuring that all groups and visitors are catered to. 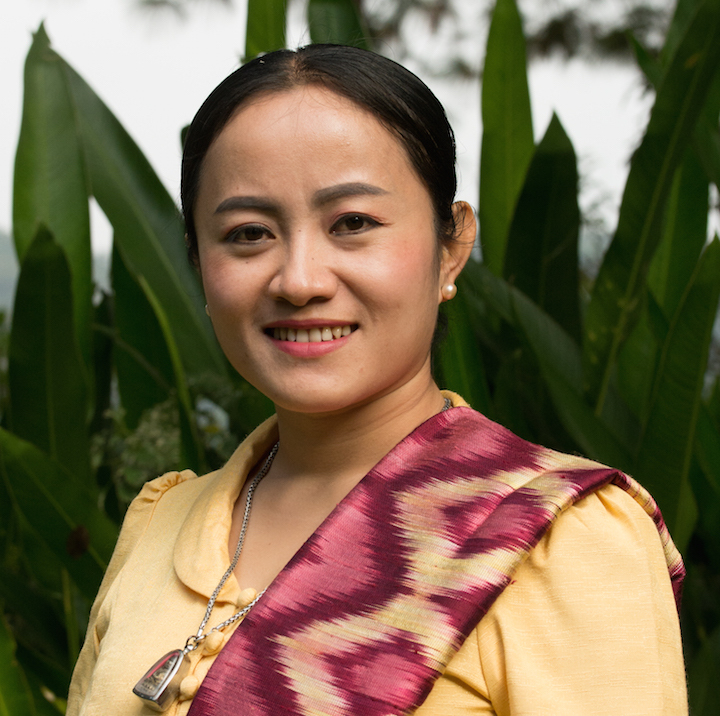 She is also passionate about taking care of the environment and ensuring that the business practices at the Living Crafts Centre minimize Ock Pop Tok’s impact on the environment, like promoting the sales of the bamboo straw collection and helping eliminate the sale of single-use plastics in the restaurants, all of which help set an example for responsible tourism.